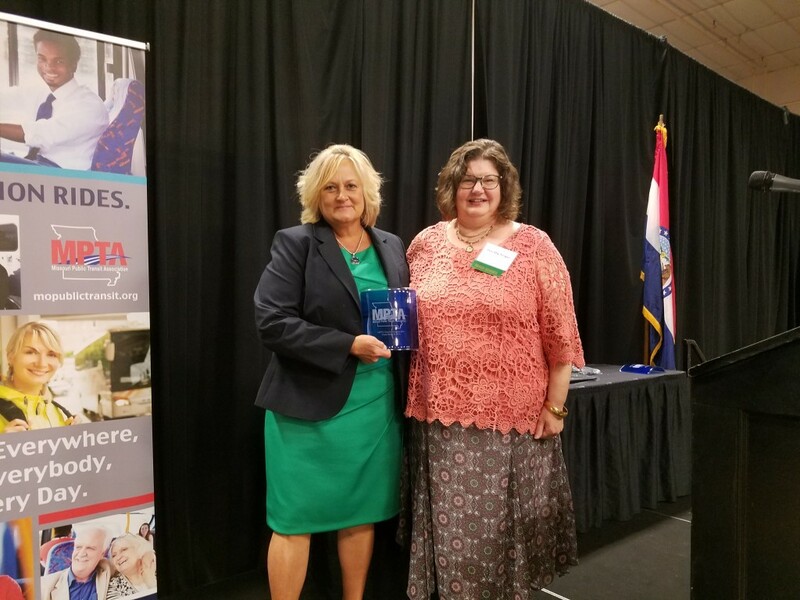 As part of its 2018 State Conference and Expo, the Missouri Public Transit Association (MPTA) recently celebrated the incredible efforts of several individuals for their exemplary commitment to championing transit in the state of Missouri. 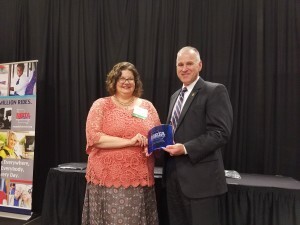 During the event, which was held last week, MPTA presented awards to Cindy Baker with the Kansas City Area Transportation Authority and Representative Kevin Corlew of Kansas City for their ongoing commitment to moving transit forward. The Federal Transit Administration also acknowledged the City of Independence, Southeast Missouri State University, City of Houston, the City of El Dorado Spring and OATS Transit for increasing ridership on their respective public transit systems. Cindy Baker was recognized with the MPTA Transit Champion Award for her hard work and unwavering commitment to the organization. Baker has served on the MPTA’s Board of Directors for more than 6 years, 4 of which was in the capacity of president and past-president. Under her leadership, she helped navigate management and staff changes, emerge through diversity and take the association to the next level. She has also agreed to partner with the MPTA on the 2019 State Conference and showcase all the great things the Kansas City Area Transit Authority is doing to further transit. Representative Kevin Corlew, who represents part of southeast Platte County and southwest Clay County, was recognized with the MPTA Friend of Transit Award. Rep. Corlew championed transit for much of the legislative session. He chaired the Missouri Transportation Task Force which introduced an amendment that would provide $50 to $70 annually in funding for transit and multi-modal transportation. While the amendment was defeated, efforts helped to open the door for discussion.